Order in the next 3 hours, 16 minutes an 53 seconds for same day shipping. DIY set designed especially for you to mark you valuables with an impression ie name & number, with a UV ink, which is only visible with the UV light (provided in the set). Ideal for marking the latest electronic equipment ie. Ipods, Mobile Phones, MP3s, PSPs etc. 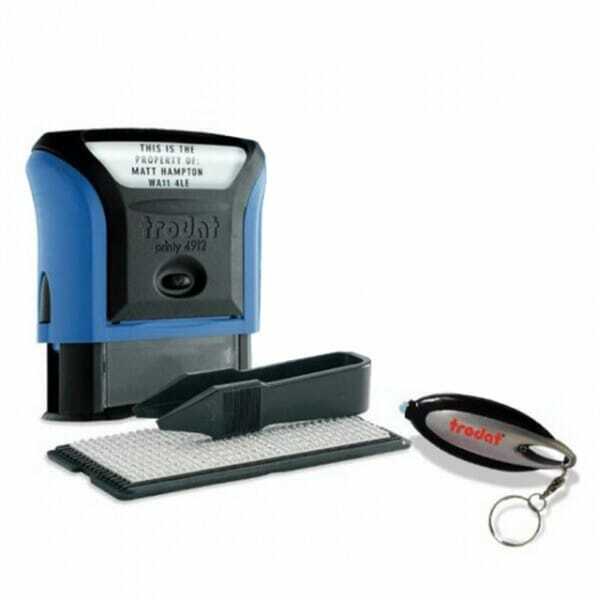 Customer evaluation for "Trodat Security Stamp"